According to the publication I have obtained from Mr. Kuniyasu Motoki who was a manager of the Sansui Retirement Foundation, a founder of later Sansui Electric Co., Mr. Kohsaku Kikuchi, worked for a radio parts distributor in Tokyo before and during the World War II. 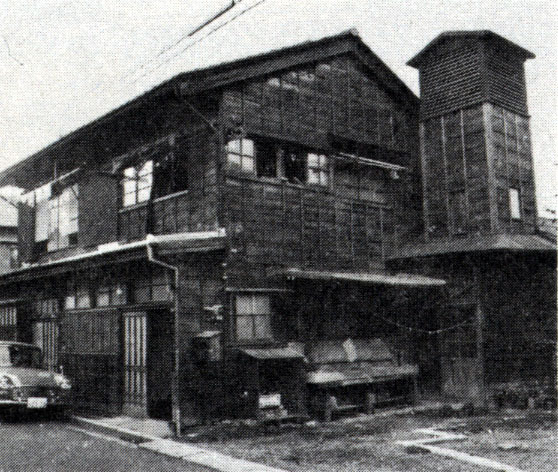 Due to the poor quality of radio parts Mr. Kikuchi had to deal with, Mr. Kikuchi decided to start his private radio part manufacturer facility, Sansui Electrical Plant in December 1944 in Yoyogi, Tokyo. He picked transformers as his initial product line, and his thought process was "Even with higher prices, let's make the higher quality of products. Eventually, the products will establish the reputation, and get the business going." In 1947, Mr. Kikuchi founded Sansui Electric Co., in order to raise the funds to expand his business. The initial capital of Sansui Electric was 180,000 Yen ( $500.00 US at that time) with 10 employees. In this year, Sansui produced Power, Input/Output, Transformers, and Choke Coils with more than 10 different product lines. By 1952, Sansui started manufacturing voltage stabilizers in addition to more than 40 different models of transformers with 52 employees. In 1954, Sansui started manufacturing Pre-Amp, Main-Amp kits as well as finished amp models. According to one of the original Sansui executive, "By improving transformer quality and technologies, our goal was raised to reproduce better and more musical sound ." Sansui counted 99 employees in this year. By 1956, Sansui started manufacturing tube receivers, and in 1958, Sansui introduced the first stereo tube pre-amp, SP-220 and stereo main amp, Q-3535. 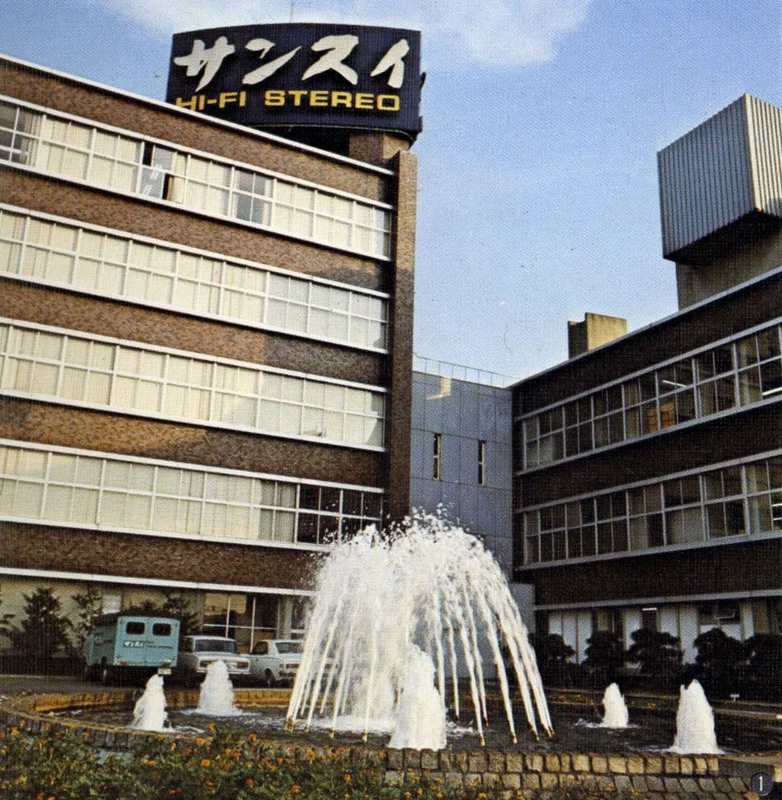 Around this period, Sansui started exporting to oversees, and Mr. Kikuchi's goal was "to build hi-fi products better than those from Fisher or Scott." The first stereo pre-main amplifier, SM-88 and the first stereo receiver SM-20 was introduced in 1959 with 597 employees. Sansui also constructed a new plant in Saitama that was for meeting the transformer demand for transistor applications. In 1961, Sansui was enlisted on the second section of Tokyo Stock Exchange, and the brand name, "Sansui" was registered in the United States. Sansui counted 885 employees by this year, and the company capital was raised to 150,000,000 Yen ( $417,000 at that time). Before 1963, Sansui had introduced more than 40 different tube amplifiers and receivers, and in 1963, Sansui introduced the 500 and the 1000 Tube Receiver for exporting followed by the 500A and the 1000A (SAX-1000) in 1964. These receivers helped to secure Sansui's financial foundations in early days, and established Sansui's reputation at oversees. Especially, the 1000A receiver was continued to be exported until the early 1970's with more than 10 known revisions. Sansui also introduced 15 high-end hi-fi tube transformers in 1963 directly resulted from the 20 years of continuous RD and quality improvement. In addition to the SAX Receiver Series, the AU-70 Tube Integrated Amplifier and the TU-70 Stereo AM/FM Tuner were introduced in 1964. Sansui's tube technology master piece, the tube integrated amplifier AU-111 was introduced in 1965 and the AU-111 won the reputation as one of the best tube amplifiers ever built in Japan. Sansui continued producing the AU-111 into the early 1970's and reissued into two different models in 1999 and 2001. 1965 was also the year Sansui started exporting the first transistor receiver TR-707A, and Sansui became an exclusive dealer for JBL in Japan. The first speaker systems, the SP-100 and the SP-200 were introduced in 1966, and this was the year Sansui established Sansui Electronics Corp. in New York City. The last tube control amplifier CA-303, the last power amplifiers, BA-202 and BA-303 (until the middle of 1990's) were introduced in 1967. These tube amplifiers are less known than other units; however, they were very ambitious products, and had significant influences toward later tube amplifier designs. This was also a year Sansui introduced the first Silicon Transistor Integrated Amplifier, AU-777 that became the instant best seller, and the first record player SR-4040. 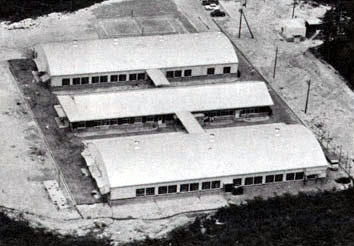 In 1968, Mr. Kikuchi emphasized the company philosophy, "Being independent without outsourcing"; in return, Sansui halted the OEM transformer production for other company. This was the first step to reform the company into a finished product manufacturer rather than being a parts supplier. 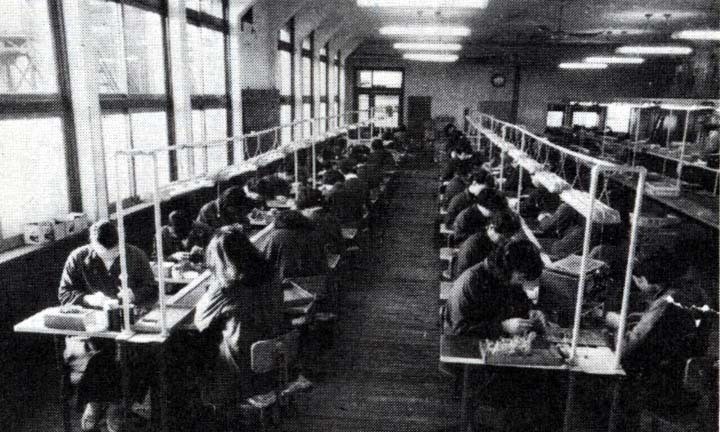 In 1969, Sansui raised capital to 1,200,000,000 Yen ( $3.3 Million), and following year 1970, Sansui was enlisted in the first part of Tokyo and Osaka Stock Exchanges with 1699 employees. Sansui established Sansui Audio Europe in Belgium, and introduced the top of the line Integrated Amplifier AU-999 and the first 4ch Synthesizer QS-1. In this year, Sansui also introduced the first pure complementary integrated amplifier, the AU-666 that marked the beginning of the modern transistor amplifier design. During the first 25 years of Sansui history, which could be said as Sansui's tube technology era, it was obvious that Sansui's success was based on the tube technologies that were built upon Sansui's superior transformer products. Since Sansui's transformer related technologies were so outstanding compared with others, Sansui products were used not only for hi-fi products, but also for medical instruments and train constructions. During the mid 1960's, Sansui's tube technologies had reached its submit by yielding several very impressive tube amplifiers; however, the industry wide rapid shifting toward the new transistor technologies forced Sansui to be staying on foot in this trend. Consequently, Sansui was one of the first among hi-fi manufacturers to adopt the advancing transistor technologies into hi-fi equipments. Because of this change, the importance of transformer technologies became less significant for Sansui's business infrastructure. Sansui still maintained transformer production for their own equipments even after the 1968 decision to retreat from the OEM production. This continued until 1978 when Sansui decided to halt own transformer production altogether. At this point, all Sansui transformer technologies accumulated for the past 34 years were passed along to an independent company called Hashimoto Electric, who was supplying some OEM transformers to Sansui for some time. 1. All past Sansui transformer technologies including historical transformer blueprints were transferred to Hashimoto. 2. Some experienced Sansui transformer engineers moved to Hashimoto. 3. The strong commitment for product quality and technology superiority philosophy were passed to Hashimoto along with ex-Sansui employees. It was very ironic that from the mid 1970's, Sansui's absolute commitment toward quality and technologies started deteriorating, and by the mid 1980's, Sansui management was totally confused with the company philosophy and its brand strategy. That confusion was one of the main reasons why Sansui was forced to give up its independence by 1989. On the other hand, Hashimoto Electric, the company who got Sansui's technical infusions in 1978 has lived along as a Sansui transformer OEM. Furthermore, they contributed to the reissues of the famed AU-111 in 1999 and 2001. If tube technologies were something belongs to the past and there were no values to today's high-end audio rather than being nostalgic icons, this Sansui transformer technology transfer to Hashimoto Electric would not have had much meaning for us. 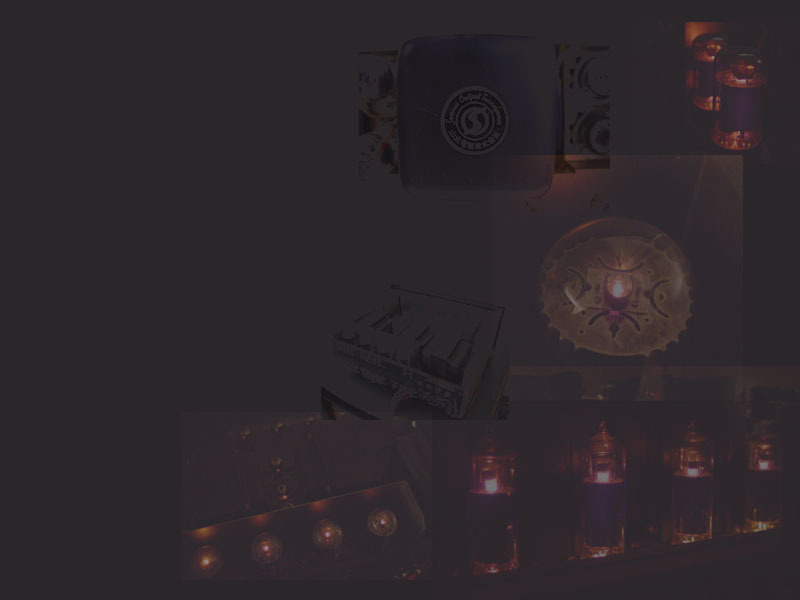 However, the reality is that today's high-end audio is still dominated by tube equipments, and more and more people are discovering the incredible sound of tube amplifiers compared with that from today's most advanced semiconductor amplifiers. In this sense, the discovery of Hashimoto Electric as the legitimate successor of the Sansui tube technologies and its company philosophy would open up the big hopes and great opportunities for the 21st tube technology advancements.